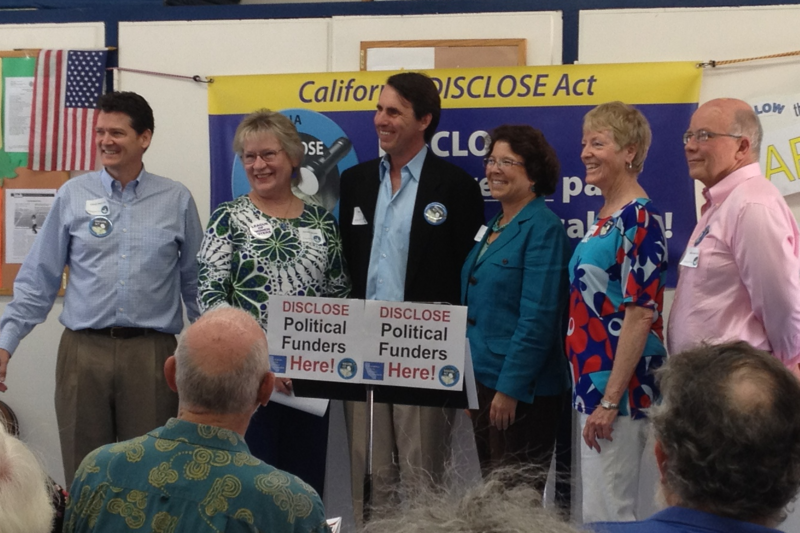 Take Action to Pass The CA DISCLOSE Act! Your letters and phone calls have more impact that you might imagine because most of the 99% don’t usually contact their legislators. So when legislators DO hear from enough regular people, they have to pay attention! Since only 1 in 100 people write or call, your letter or call “counts” to them like 100 voters! I’m calling to ask Speaker Perez to do everything he can to help pass AB 1648, the California DISCLOSE Act, because voters need to know who is really paying for political ads!